The Large Oil Painting (found at that wonderful Church Sale). I love the details in this painting. I have no idea where I will find wall space to hang it. The large painting was hanging from this easel when I saw it so I just had to buy the easel as well. 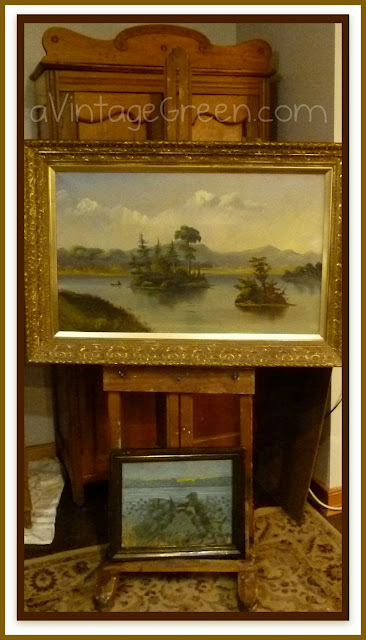 I put the frame back on the smaller duck hunter oil painting. Having the two pictures together makes their relative sizes obvious. Tomorrow close ups of the artists easel. wow! what a lovely painting! have you been able to find anything out about the artist or is it just a really lovely painting? What a great find. I love to shop at church sales. Have a good day. Wonderful find..love the frame too! Beautiful. It is a quality work. Thanks for sharing those photos of your church sale finds! They are just great. I loved seeing the close up details in the large painting. I'm glad that you bought the easel too...good choice. We are all guilty of having an impulse buy. In the long run, it works out and we find a place it. I like this painting as well. 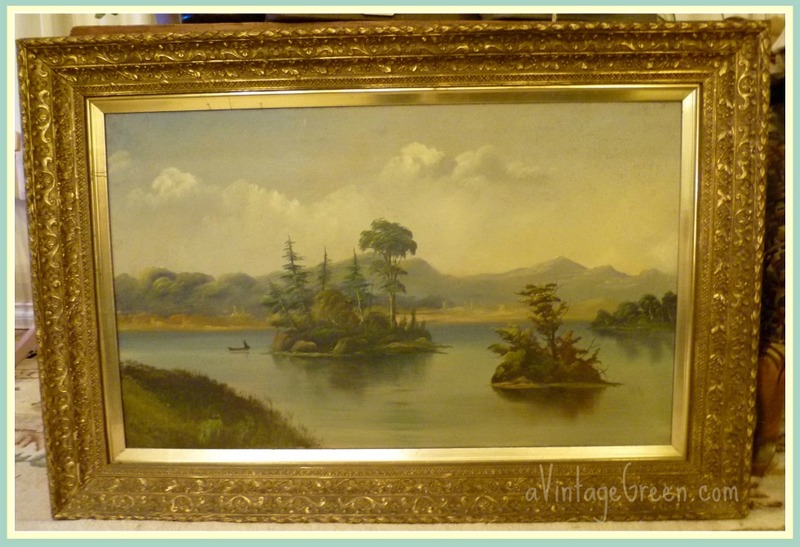 What a wonderful find that painting is and I love love love the easel! Gosh, what a pretty painting! Nice find! 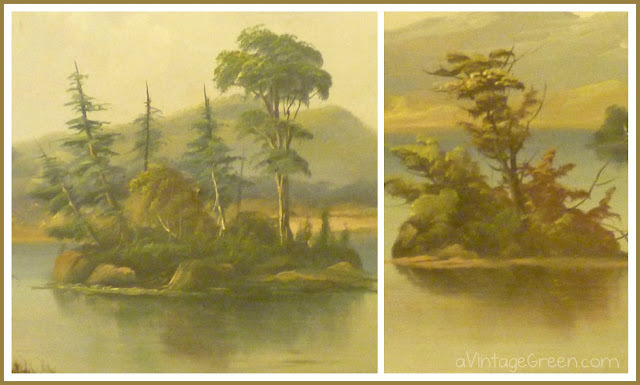 Love the painting and those pines on the island look like piny islands in the lakes around here in Central Wisconsin! Great find. 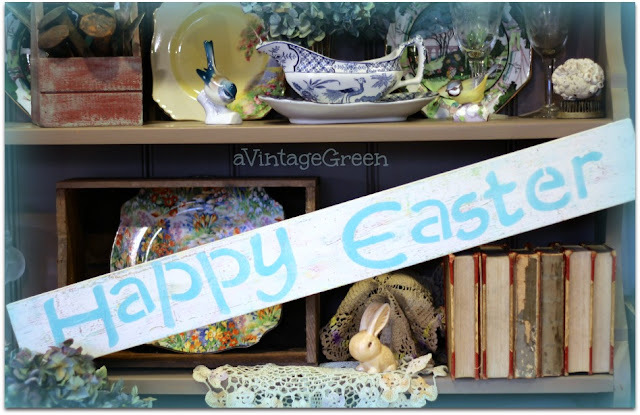 I love vintage anything!! 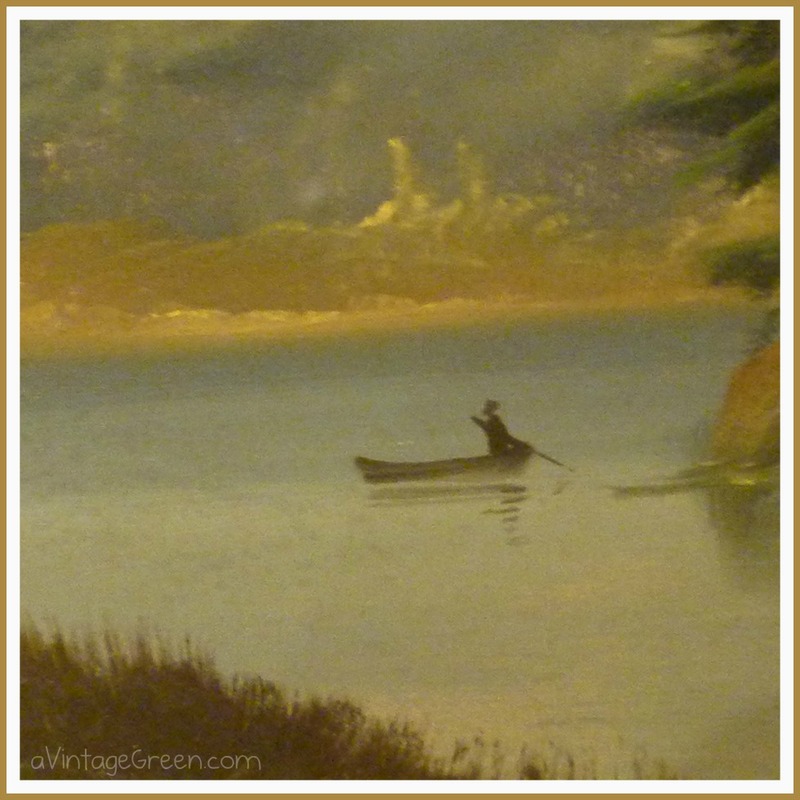 I love love this painting I am going thru a must find a landscape painting phase. Thanks for sharing.Happy to e anew follower. I'm thinking you def. should find out more about that painting! It's so serene...Great find.